Today I am offering these two items as a pair. 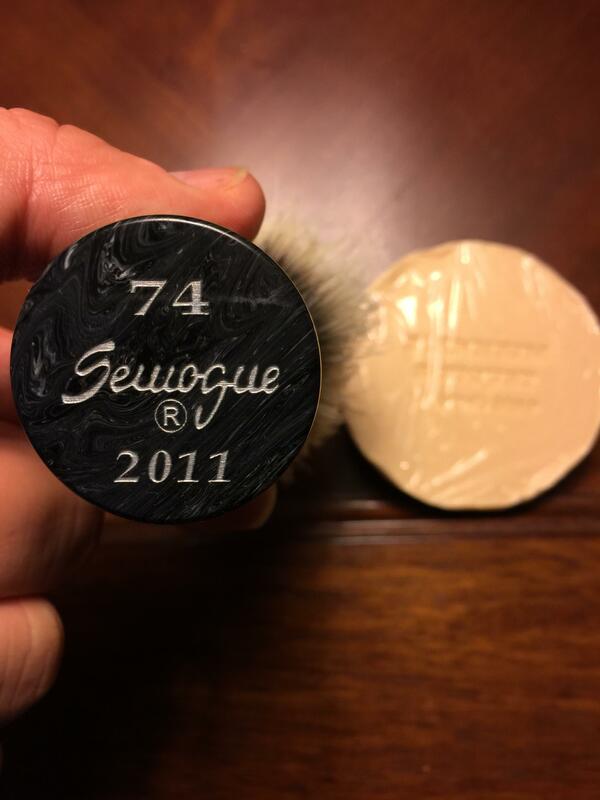 The brush is a 2011 Semogue Finest Bristle LE 2 with a number of 74. I do not recall if I am the original owner of this brush as I purchased one from the vendor and a second one a few months later through a forum. This brush has seen very limited usage and had not seen water for a long time until earlier this week. 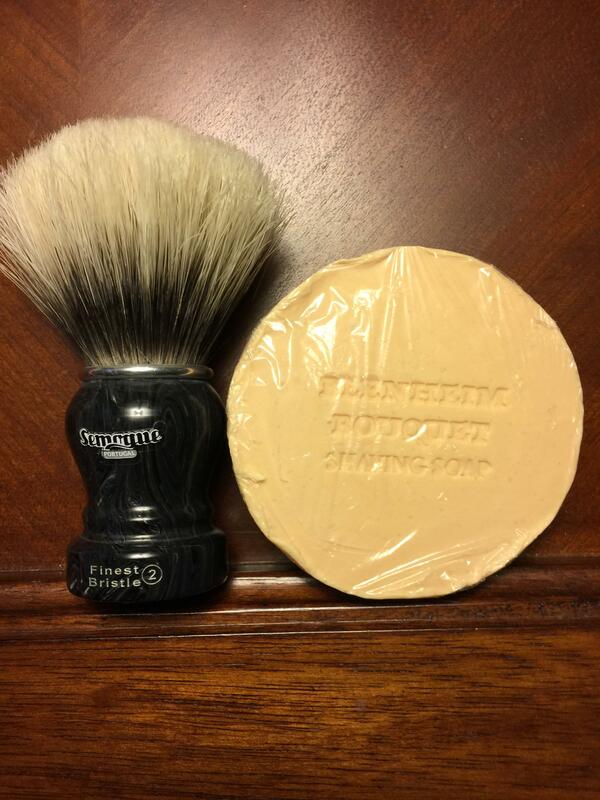 The soap paired with this brush is Blenheim Bouquet - tallow version. The soap was purchased from Phil quite a while back and was never unwrapped by me. It was not shipped with any other wrappings or box. 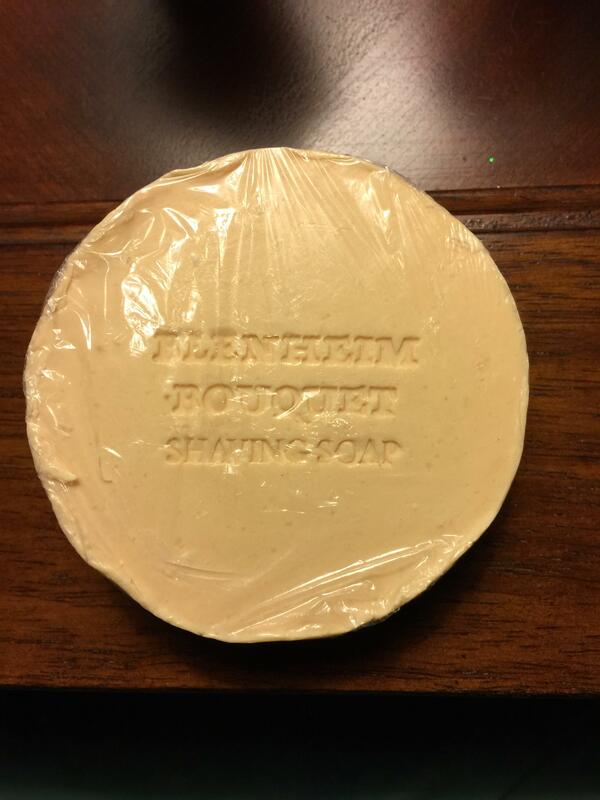 A faint smell remains with the puck and this tallow version is a fantastic soap that is super easy to load and lather. IMHO a tallow soap leaves my face feeling smoother. I do not have original prices and they are both out of production. The price for the pair is $143, shipped CONUS to a PayPal verified address, including tracking. Payment via PayPal. Please no offers for trade or requests to split the pair. That is a wonderful brush - one of my favorites! (05-26-2017, 03:18 PM)golfhacker Wrote: Brush specs?